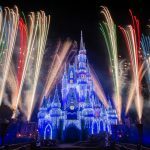 The holiday parties at Walt Disney World, Mickey’s Not-So-Scary Halloween Party and Mickey’s Very Merry Christmas Party, are specially ticketed events at Magic Kingdom Park. Many park goers forgo these amazing events because there is an extra cost. 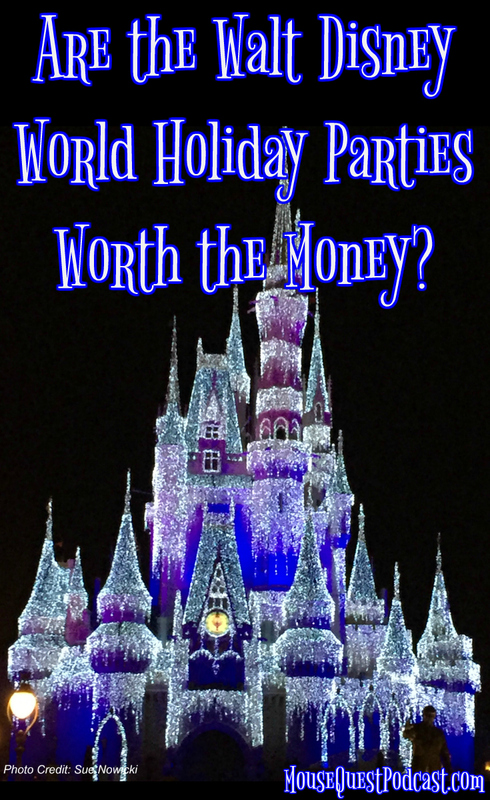 Here are the reasons why the Walt Disney World holiday parties are worth the money along with a comparison touring plan of a regular park day vs. touring the park during a holiday party. None of that matters to us. 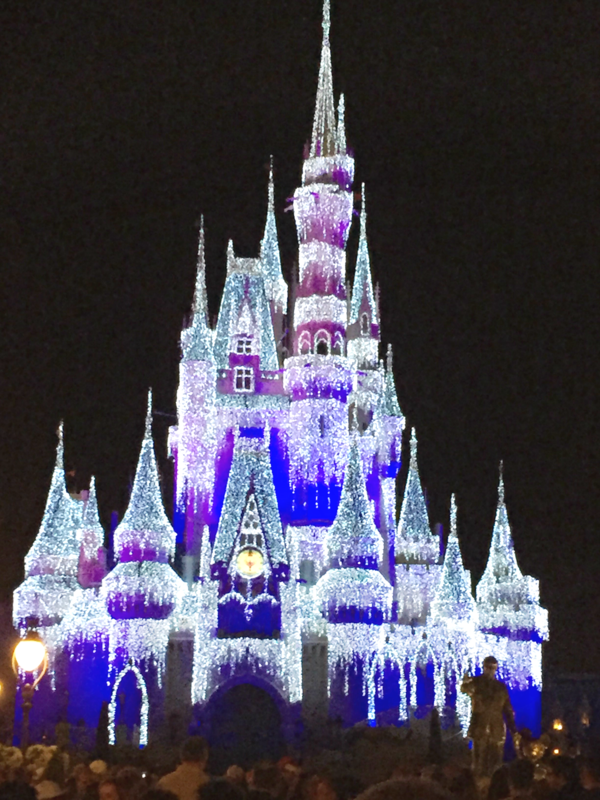 For us, it’s all about the merry feel of the Magic Kingdom with snow falling down on Main Street, U.S.A. or the scary feel of the Headless Horseman galloping through the Park and very low crowds. I mean seriously, how often can you show up in the Central Hub five minutes before Celebrate the Magic and have THIS VIEW?! Not only do you get this view, you aren’t standing elbow-to-elbow with thousands of your fellow park goers. Yes, if you are using the cost of the party as a deterrent your argument is valid… sort of. 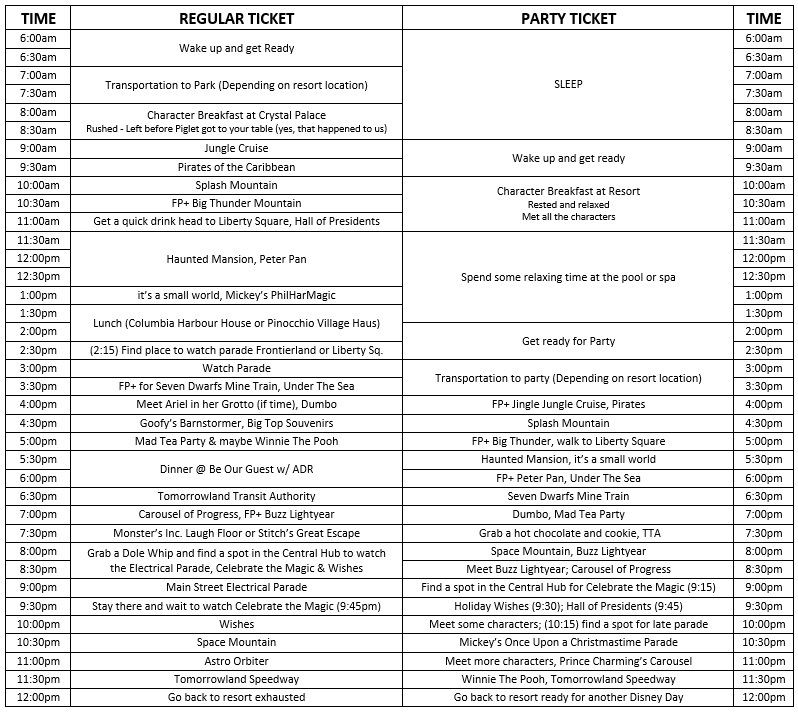 As I LOVE crunching numbers, here is a comparison of how much a special party ticket costs compared to a regular park ticket. What I have done is compared the cost of replacing one day of theme park tickets with a special party ticket. For example, for a three day visit, instead of buying a three day ticket I have compared the cost of buying a two day ticket and a party ticket. Using this method, you actually save $4.49. So the next argument might be, “Yes, but these are full day tickets not just for five hours.” Wait… did you say five hours?!?! Actually, special party tickets are good for EIGHT HOURS. What people often forget is with your party ticket you can actually enter the park at 4:00pm, not the 7:00 p.m. time posted for the parties. Not only that, you can make FastPass+ selection from 4:00pm to 7:00pm with your party ticket. As I said before, one of the greatest selling points of the holiday parties for my family, beside the holiday merriment, of course, is the low crowd levels. I can experience nearly the same amount of attractions in almost half the time and still have time to enjoy some free candy at the Mickey’s Not-So-Scary Halloween Party or hot chocolate and snickerdoodles at Mickey’s Very Merry Christmas Party, see the special holiday parade without being there 45 minutes early to stake out a spot, and also see Celebrate the Magic and Holiday Wishes or HalloWishes, also without any spot staking. 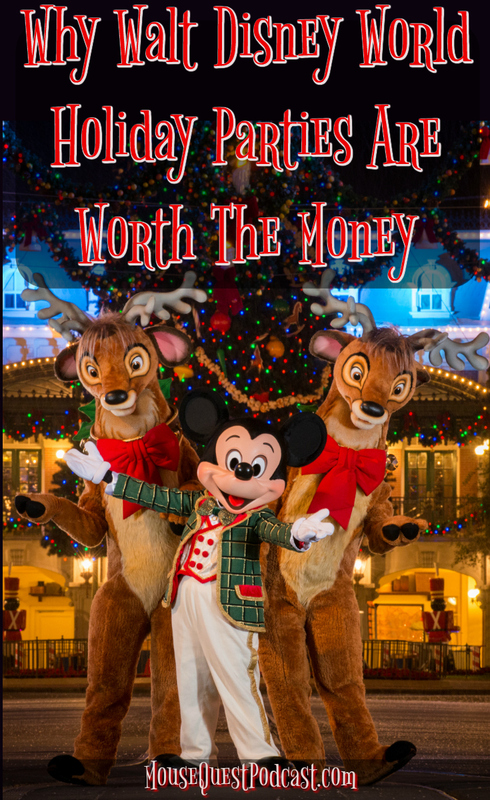 I did a little comparison of how much you can get done on one typical mid-crowd level day at the Magic Kingdom with a regular theme park ticket and three FastPass+ selections vs. arriving at 4:00pm with just a Mickey’s Very Merry Christmas Party ticket (which you can also use to get three FastPass+ selections between 4:00pm and 7:00pm). This assumes on a regular day you are at the Magic Kingdom prior to park opening for a character meal so you are slightly ahead of the crowd at Rope Drop at 9:00am. It also assumes you won’t take a mid-day break. 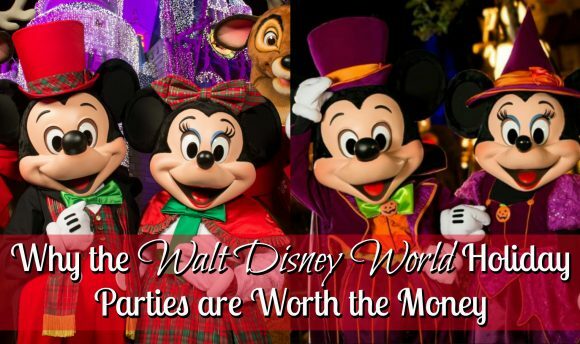 Conversely, it assumes you aren’t going to wait in line to meet any of the headliner characters who are only out at the parties such as Santa Goofy or the Seven Dwarves. The special meet ‘n’ greets were never a real selling point for us anyway. As you can see I can have nearly the same experience in that short eight hours as I can on a regular day. Not only am I possibly saving a few buck, I am also saving a day of my regular theme park tickets. 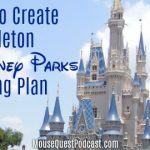 But let’s be honest, if you are going to Walt Disney World for more than four days, you are likely going to visit the Magic Kingdom twice anyway. Therefore, all the things you might have missed at the parties, you can pick up when you visit again and make that a much more relaxing day… get up late… check out one of the spas on property… spend ½ a day at Disney Springs. Follow us on Facebook, Twitter and Pinterest for more great Disney content.